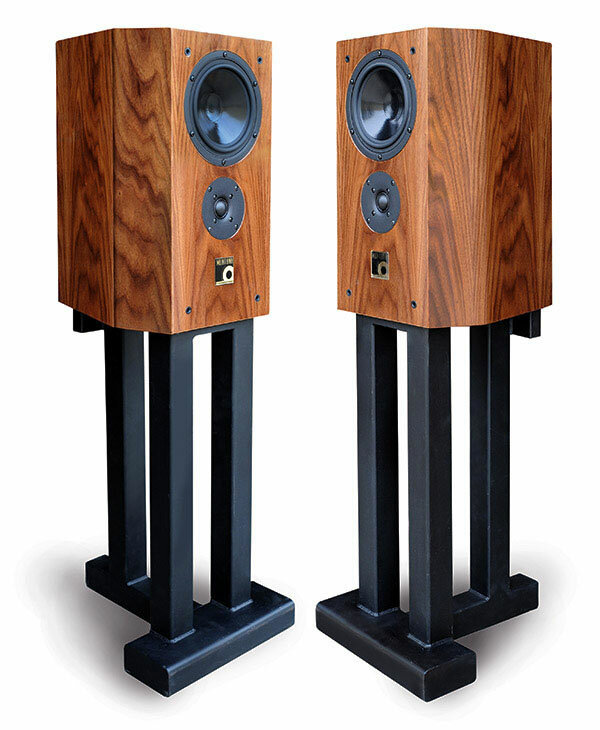 This upgraded and updated edition of the Monitor (now named M2) completes a series we have named “Personic” – personal-scale speakers for dens, home offices, or personal libraries – or where surround sound systems are the best solution, part of a full 5.1 or 7.1 array combined with the Lucille (or one of the larger Innerchoic® series) and the Mini-Monitors. The versatility of PBN’s audio systems is matched only by the rock-solid performance of every PBN component. The M2 Monitor Speakers are scaled to unobtrusively position on bookshelves or be tucked into nooks and corners on rugged, stable metal stands. Their electronic phasing allows for greater flexibility and forgiveness in their placement than PBN’s larger Innerchoic series. They perform equally as well as rear-channel speakers in a dedicated 5.1 or 7.1 system or as two-channel speakers in smaller spaces. This advanced and highly versatile speaker features a 7” VifaTM coated pulp cone mid-woofer and a 1” SB Acoustics tweeter. Superb bass response. 12”W x 13”D x 18”H. Stand is optional.